This week I've started a new transcription project at the Barnsley Archives, the Cudworth Methodist Baptism registers. If it seems that I have too many irons in the fire that's because I probably have! However I am the sort of person who needs to keep busy and maybe one day, who knows, I might get asked to do more talks, might produce more journal articles or even write a book. ﻿ It isn't terribly easy finding history projects in Barnsley, the area has a very good supply of dedicated local historians, for example Aspects of Barnsley runs to seven volumes compared to the two about Sheffield, but being a member of the Cudworth Local History and Heritage Group I was able to confirm that no-one has transcribed the Methodist records before. 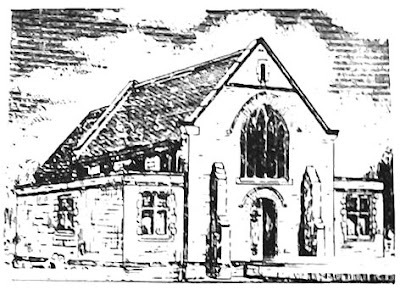 Also that the records held by the Group about the chapels in Cudworth consist mainly of 20th century newsletters and programmes to various anniversaries. The Methodist registers have not been microfilmed so providing a transcription will make them more accessible, and hopefully provide information on the families in Cudworth who attended the chapels. Barnsley Archives is bound to have much more information on the Methodists in Cudworth too, and I can collect this to add to the information available locally. Cudworth has a long history of Non-Conformity, the first chapel was built in about 1799 and before their partial amalgamation in 1964 there were at least four separate denominations of Methodists meeting in Cudworth. As one of the members, BS, noted on Wednesday morning at the regular meeting in the Cudworth Centre of Excellence (that's the library to ordinary non-council speak people!) the addresses given in these records let you establish when certain streets were built, the occupations of the fathers gives a good idea of the social make up of Cudworth and how it changed over time, and baptism registers may well be the only place, other than their burial, where some of these children were recorded if their short lives fell between census returns. BS was talking about the Church of England baptisms for St John's church in Cudworth (1887-1910) which have been available on Ancestry (in the West Yorkshire collection) and which can now also be accessed via a transcription at CLHHG meetings, but the same applies to any baptism records, be they Anglican or Non-Conformist. My continuing series of World War One Soldier stories has now reached ten names researched and written up ... I'm being a bit cautious about some of the information I have, from the service records admittedly so publically available, as I don't think people want to read about their ancestor's stay in hospital for the treatment of a venereal disease or their very short stint in the army before they were discharged with flat feet or bad teeth. One gentleman has contacted me to thank me for his grandfather's story, however as nothing much happened to him my correspondent couldn't quite see why I'd bothered. Well, the soldier returned ... we have to remember that the majority of them did, despite the horrific casualty figures. 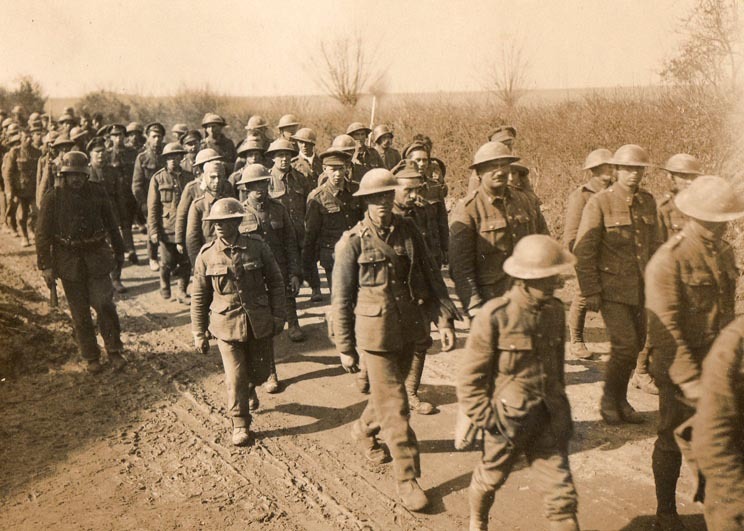 According to figures on one website, The Great War, our total casualties were 35.8% of the forces serving. This includes wounded and POWs. The official "final and corrected" casualty figures for British Army, including the Territorial Force (not including allied British Empire forces) were issued on 10 March 1921. The losses were for the period 4 August 1914 until 30 September 1919, included 573,507 "killed in action, died from wounds and died of other causes"; 254,176 missing less 154,308 released prisoners; for a net total of 673,375 dead and missing. There were 1,643,469 wounded also listed in the report. I think it is very, very important to remember that the men who returned home and who were not included in the casualty figures had still endured the horror of the trenches, the loss of their friends and the brutality of the fighting. Most of them would never speak of their experiences to their families. All of them are now gone ... we should never forget what they had to endure. Sadly my daughter tells me although she follows my blog she doesn't read the family history stories, she prefers my moans and groans about my health! Never mind, it will be all here (and in my backup versions saved in various places ... and that's an idea for another post) for her and her brother when they are ready to be interested.